November 28, 2017, New Delhi, India– Visas Avenue- the prominent Immigration Consultancy Firm in India has achieved a new milestone now in terms of received Visa approvals for its clients. 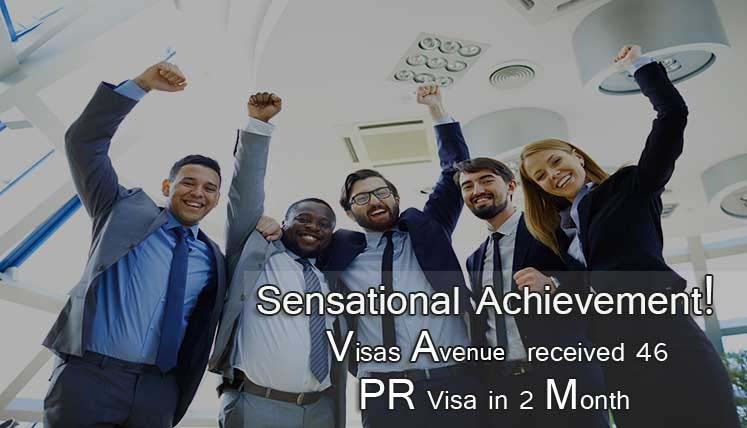 Visas Avenue has received 46 Canada and Australia PR Visa approvals in October- November 2017 for its clients aka Canada and Australia visa applicants. Moreover, the team has also got 7 Tourist visas approvals, which makes total 53 visa approvals in last two months. It’s simply outstanding feat registered by the whole Visas Avenue team as it has bettered its own past record in this regard. Visas Avenue team has recorded some of the most amazing feats this year to establish itself as the top Visa and Immigration Consultancy Agency in India. The company has been breaking its own records throughout last one year. In view of the most incredible results achieved for its clients, we can say that now Visas Avenue has a competition with none other than self. Visas Avenue specializes in Canada and Australia immigration process, and after looking at its unbelievable success rate in terms of received visa approvals the specialization seems justified. It’s truly one of the best Visa Consultancy firms in India for Canada and Australia immigration process. Visas Avenue every year helps hundreds of immigration applicants move to their destined countries, through its highly efficient immigration experts at its Visa Consultancy offices in Delhi, Mumbai, Bangalore, and Hyderabad. Visas Avenue is not only popular among the immigration applicants because of its success rate, but also due to its incredible client service. It keeps the whole process smooth and trouble free for the immigration applicants. Transparency in terms of immigration procedure, as well as charges, is the things visa applicants like the most about Visas Avenue. Also read- Why Do Visa Applicants Trust Visas Avenue with their Visa Applications? If you wish to enhance your chances of receiving visa approval for Canada, Australia, etc. countries, you may contact Visas Avenue Immigration. The success rate of Visas Avenue coupled with finest client service becomes the guarantee of positive results. You may contact certified visa and immigration experts of Visas Avenue at Toll-Free Number- 78-18-000-777. Alternatively, you may e-mail your queries to e-mail id- info@visasavenue.com.